BellowsTech edge welded metal bellows can eliminate the need for a dynamic seal, when used within a bearing housing to translate rotation from an input shaft to a co-linear output shaft while sealing hermetically. Linear and angular motion for "wobble stick" applications is also available. Can shark skin help planes fly better? With thermal conductivity of 100 W/mK -- four times higher than standard silicon nitride -- high thermal conductivity silicon nitride has emerged as a preferred insulating substrate for next-generation power modules, high-frequency circuits and LED mounting. Nearly as light as silicon carbide but significantly stronger, its high fracture toughness makes it resistant to impact and shocks. It can be polished to a surface roughness of Ra=0.02μm and is exceptionally wear resistant. Dodge and Mopar wowed the crowds at the 2018 Specialty Equipment Market Association Show with the 1968 Dodge "Super Charger" Concept. It features modern elements from the current Dodge Charger SRT and Challenger SRT lineup to showcase the new 1,000-hp "Hellephant" 426 Supercharged Mopar Crate HEMI V8 engine and kit. 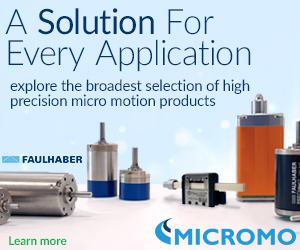 See the latest in motor tech, from brushless to stepper to piezo and more. The world's largest jet engine took its first flight over the Mojave Desert on March 13. The GE9X is a showstopper. At 134 in., its fan diameter is so tall and wide that Shaquille O'Neil would fit inside the engine's cover with Kobe Bryant sitting on his shoulders. The whole engine is as wide as the body of an entire Boeing 737. By Tomas Kellner, GE Reports. Nope, it's not an April Fool's joke. Engineers at LEGO have built a life-size, working Bugatti Chiron (in real life the world's fastest production car) that features more than 1 million LEGO Technic elements and is powered exclusively using LEGO motors. The feat took more than 13,000 man-hours to complete. Really impressive multi-discipline engineering here! Researchers at Purdue University have demonstrated how to create a super-strong aluminum alloy that rivals the strength of stainless steel, an advance with potential industrial applications. Much of the work focused on adding one magic (and common) ingredient. One hundred years ago, Chevrolet introduced the 1918 One-Ton, setting the stage for a century of iconic trucks. To commemorate this milestone, Rich Scheer, director of Exterior Design for Chevy Trucks, names his 10 most iconic Chevy trucks from a design perspective. Jeep rolled out something really big at the LA Auto Show, and it came in the hulking form of the Gladiator -- the brand's first new pickup in just over 25 years. The very versatile midsize truck line promises open-air freedom, impressive on- and off-road dynamics, best-in-class towing, fuel-efficient powertrains, innovative safety and advanced technology features, and more. You might not care about the designer gown Meghan Markle wore to marry Prince Harry last May or knowing who attended to watch the royal proceedings at Windsor Castle, but that one-of-a-kind 1968 electric Jaguar E-type the couple drove to their evening reception festivities ... now that was something interesting. 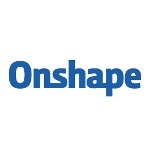 Darren Garnick of Onshape says that, in a CAD satisfaction survey of 230 design professionals last year, Engineering.com asked a very provocative question: What do you hate most about your CAD software? The research, sponsored by SOLIDWORKS, revealed these four things that engineers and designers despise the most (in order of importance). 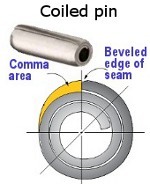 Coiled spring pins are manufactured with a seam that is much better for hinges than spring pins. Find out why, and how this simple component can improve your designs. Although bearings, gears, rollers, and other precision components are generally made of hardened steel or metal alloys, those used in high-load applications still can fail due to excessive wear, surface fatigue, pitting, galling, and corrosion. To address this problem, product engineers and component manufacturers often turn to specialized PVD (physical vapor deposition) coatings that can further harden the surface of these parts. 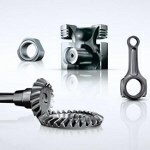 Oerlikon Balzers provides solid solutions. If you're looking for a basic guide to sheet metal design, this one from Xometry will serve your needs well. Follow the design requirements and tolerances in this guide to ensure parts fall closer to design intent. This is the type of information you'll sock away and then refer to again and again. Top Tech Tip: Choosing between brush and brushless DC motors -- What are the tradeoffs? 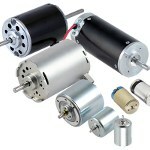 Designing a system that involves motion and performs as intended requires choosing the right motor. The most fundamental decision involves commutation type. In some cases, mechanically commutated brush motors provide the best solution for the budget. In other cases, only brushless DC (BLDC) motors will do. Allied Motion provides a comprehensive review of the technology, along with tips and tricks for choosing the right solution for a given application. Get the guide (no registration required). A whole range of products can now take advantage of the world's blackest coating, Vantablack, thanks to the development of a new spray version called Vantablack S-VIS. It is easily applied at large scale to virtually any surface. Vantablack's carbon nanotube matrix structure absorbs virtually all (99.8 percent) incident light, enabling precision optical systems to be optimized. 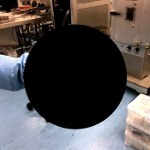 The material's developer, UK-based Surrey NanoSystems, has mimicked the performance of its original Vantablack with this new version that can be sprayed onto objects, rather than deposited using a chemical vapor deposition (CVD) process. 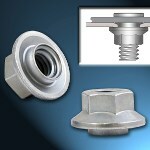 PEM SFN spinning flare nuts from PennEngineering become permanently captivated upon installation in thin metal sheets and, when paired with a self-clinching stud or other fixed externally threaded hardware, can eliminate all loose fasteners (including flange nuts) in attachment applications. These one-piece, flanged hex nuts additionally will spin freely in a sheet enabling quick attachment to mating hardware. Their use ultimately promotes savings in assembly time and costs. Plastics expert igus has introduced the world's first plastic filament for 3D printers enhanced with tribological, or low-friction, properties. The iglide material, 50 times more resistant to wear and abrasion than conventional 3D-printer materials, is ideally suited for creating custom bearings. On July 18, 1968, NASA announced that engineers had found a solution to the problem that occurred near the end of the Saturn V rocket's first stage during the uncrewed Apollo 6 mission. During the last 10 seconds of that first-stage burn, the rocket experienced longitudinal oscillations called "pogo effect." Had a crew been onboard, they would have experienced severe vibrations and even possible injury. Leadership is paramount to the success of any army -- and any organization in general. Leaders not only make life and death decisions sometimes, but directly control the climate and quality of life of their subordinates. But what is the real definition of leadership? Capt. Ron Roberts of the U.S. Army's Asymmetric Warfare Group discusses 12 fundamental leadership principles, as well as several educational and inspirational historical examples. How much do they apply to what you do? 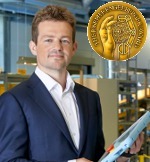 The Robotic Industries Association (RIA) recently announced Esben Ostergaard as the recipient of the Engelberger Robotics Award. Ostergaard spearheads the development of Universal Robots' collaborative robot arms, representing one of the most significant technology breakthroughs coming out of the robotics community in decades. Jason Fenske from Engineering Explained takes a look at the Achates Power opposed-piston engine, which is packed full of unique technology. The supercharged, turbocharged, diesel three cylinder makes use of six pistons, two of which operate in each cylinder. It's a two-stroke design, meaning every time the pistons come together a power stroke occurs, forcing both pistons away from one another and rotating their respective crankshafts. The two crankshafts are geared together to a common output shaft, which powers the vehicle. Research has shown two-stroke opposed-piston engines to be wildly efficient. Three-cylinder designs are the most efficient, and it's possible to achieve brake thermal efficiencies as high as 55 percent, a massive improvement for road car engines. Tech Planet runs through their top seven choices for alternative engine designs for cars, power tools, spacecraft, and more. Some are works in progress, some are prototypes, and some are just concepts. What a fun and different countdown. Thanks, Tech Planet! The SR-71 reconnaissance aircraft flew missions around the globe at speeds above Mach 3 and altitudes of 85,000 ft or more. Although its many contributions to national security will never be fully revealed to the public, the Skunk Works marvel holds many world aviation records for its speed and altitude. In this interview with former SR-71 pilot Col. Buzz Carpenter, you'll hear a first-hand account of the aircraft's power and majesty. The pneumatics wizards at Festo, famous for creating nature-inspired bionic creature concepts that also often include electromechanical drives, motors and controllers, and grippers, have unveiled the cartwheeling BionicWheelBot at Hannover Messe 2018. Like its biological model, the flic-flac spider discovered at the edge of the Sahara, the BionicWheelBot can both walk and roll. This machine rolls along the ground by forming a wheel with three legs on each side of its body. Two more legs, which are retracted during running, are then extended. When the spider is rolled up like a ball, these legs push it off the ground and propel it forward in a continuous rolling motion. It's official! Workers at Boeing are joining together the first 777X flight test airplane at the company's Everett, WA, site. In this video, the three main sections come together. Great progress is being made as Boeing prepares for flight test in 2019 of what will be the most fuel-efficient twin-engine airplane in the world.